WatchGuard Technologies is a technology company that produces network security devices and applications used to protect networks from potential threats. My work for WatchGuard Technologies involved designing a wide variety of pieces for marketing and sales efforts used to promote the company’s products as well as to provide technical information to users of the technology. The following pieces show a selection of work designed for WatchGuard Technologies. 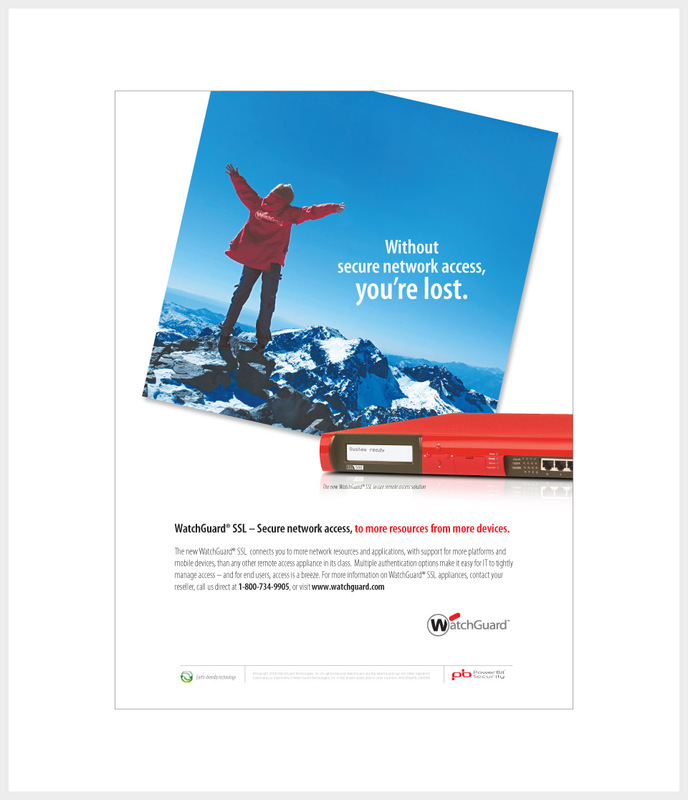 This concept for this ad shows a person stranded on a mountain to suggest that without network security provided by WatchGuard Technologies you’re out of luck. 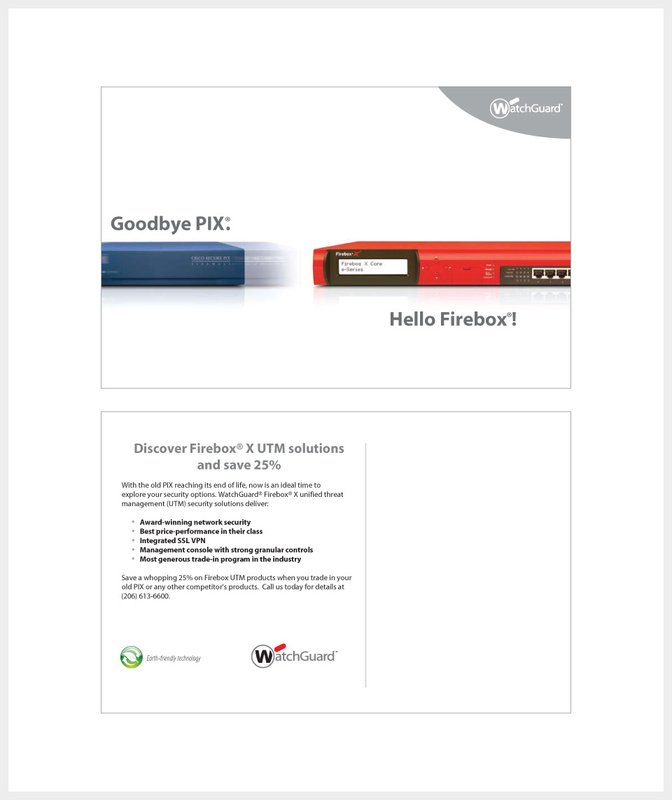 This postcard was part of a campaign designed to entice users to switch from a competitor product to WatchGuard’s new product Firebox X. A selection of icons for various network security topics used to accompany an ongoing series of news articles. An information graphic that explains the authorization policies for WatchGuard’s Firebox devices. 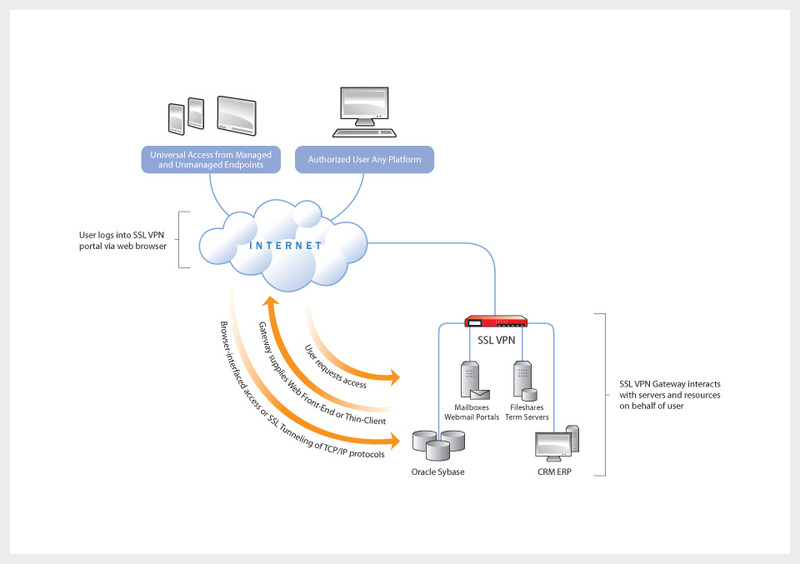 This information graphic describes how WatchGuard’s devices protect networks from intrusion. 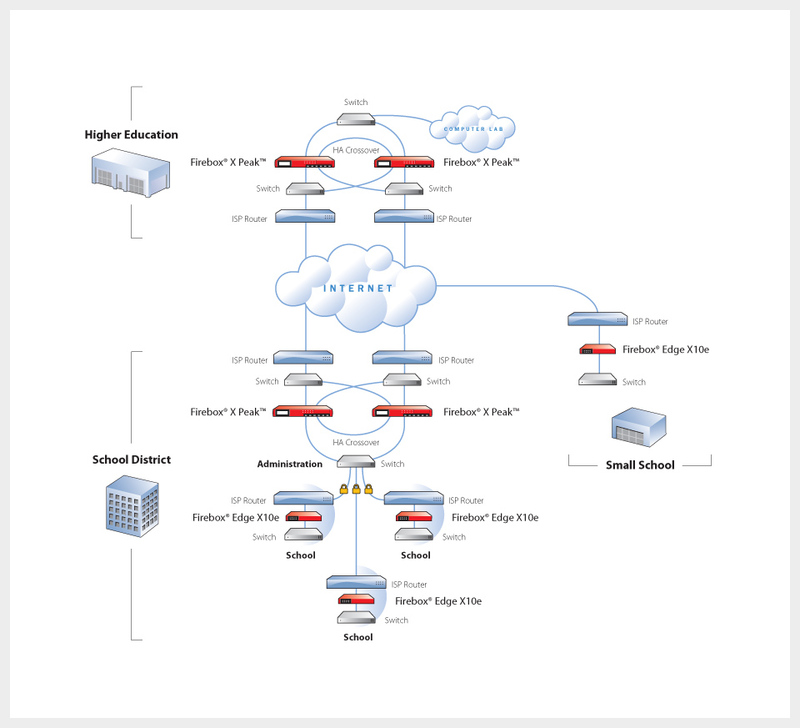 This diagram is used to show how networks utilized by education institutions can be configured using WatchGuard’s devices.